We manage several communities on Google Plus. If you do not know what a Google Plus Community is, please read What is a Google Plus Community? We have over 100 communities. Below is a partial list that users of our website might find beneficial to them. If you would like help assisting your brand’s presence on Google Plus or growing a community please see our Google Plus Marketing page. The Google+ Local Pages community is in place as a place to assist business owners with their Google+ Local Page. Confiscating, repossessing, caliming, verifying, growing pages, etc is almost like learning a new language to some people. People can come here to get professional advice from us directly. When a question arises that we can not answer, we send people in the right direction for help. Very similar to the Google+ Local Pages community is the Yahoo! Local Business Listings Community. We can’t forget the Bing Places for Business Community! The North Carolina Photography Google Plus Community is filled with outstanding pictures by great photographers of our great state of North Carolina. This was an easy one to come up with as we have beautiful regions here in NC such as the mountains, the ocean, and a lot in between. 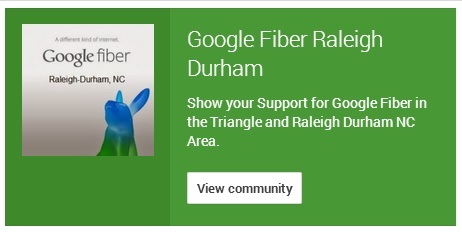 The Google Fiber Raleigh Durham Community is a place where triangle area plussers can stay on top of news regarding Gigabit / Fiber Internet in Wake Forest, Chapel Hill, Cary, Morriseville, Raleigh, Durham, Apex, Garner and all of central North Carolina. The Google Fiber Charlotte NC Community. 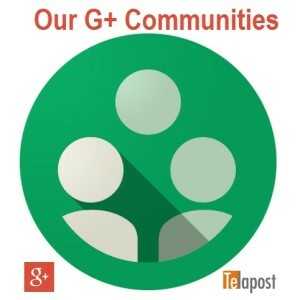 The Google Camera Google Plus Community. Google Smart Contact Lens Community. Thank you for checking out our communities! We’ll see you on the Plus!